How did Persian painters tackle both the depiction of architecture and the actual process of construction? Several scholars have studied the first topic, but very few have investigated the second. 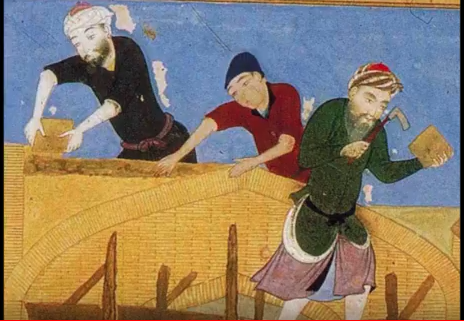 In neither case is the term “realism” appropriate, but the conventions for depicting architecture in Persian painting are a fascinating study in themselves, while close analysis of three later medieval paintings of workmen on building sites reveals many surprises. The lecture will show how comfortably Persian painters operated within what to a Western eye might seem like constricting conventions. Robert Hillenbrand looks at how Persian painters tackled depicting architecture while also showing the process of construction, and how they operated within what to a Western eye might seem like constricting conventions. Robert Hillenbrand is a Professorial Fellow in the School of Art History at the University of St Andrews.